*These dining experiences took place in June 2017. 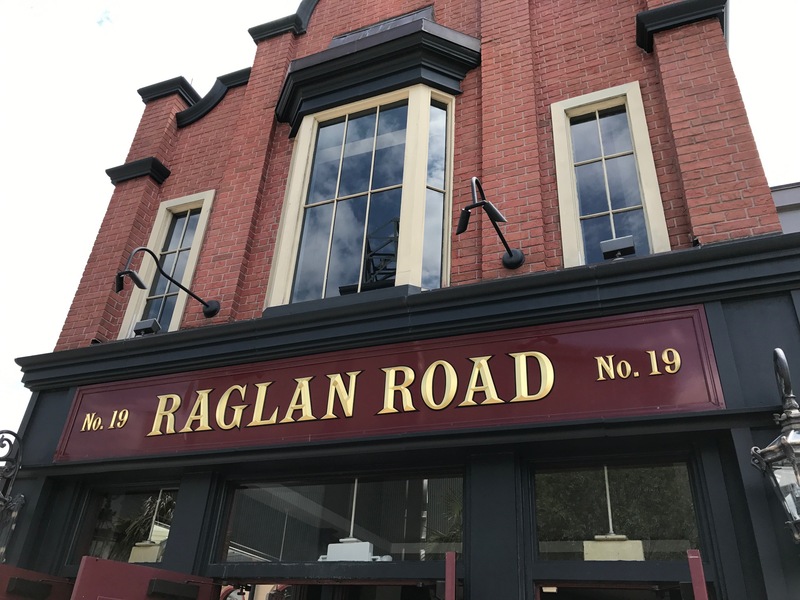 Raglan Road Irish Pub, located in Disney Springs, is one of my favorite table service restaurants at Disney World. It has consistently great food, fantastic atmosphere, and tons of gluten free and dairy free options. It’s always a winner and a restaurant I go back to again and again. Recently, I stopped by Raglan Road for both brunch and dinner, so I’m including both visits in this review. One of the things that I love most about Raglan Road is that you’ll feel like you were transported to Ireland when you walk in the door. From the outside dining areas to the charming interior, it all has an authentic Irish feel to it. Of course, on one of the days we visited, it was pouring rain, which made it perfect for a cozy Irish pub meal.